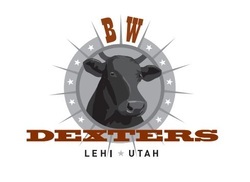 "Taste and self RELIANCE in the same place"
BW Dexters specialize in raising pure bred Dexter cattle. These fun little cows are great for the family to raise! With the smaller size allows families to raise a cow on little hay or property. And unlike most cattle, Dexters are used both for beef and milk. Our cows can produce around a gallon to 2 gallons a day. Word on the street says the meat is much more tender than of the regular beef you purchase at the store. We strive to bring a cow to your home that you may be self reliant! You will be able to have your very own milk daily, along with the possibility of tender meat that will fit in your freezer. All BW Dexter animals can be halter broke easily, this allows easy handling for any family to enjoy. We have what you want. If you are looking into starting your own herd, we have it. If you are looking for a cow with a lot of milk, we have it. If you are looking for a big beef animal, we have it. If you want a big dexter, we have it. If you are looking for a small dexter, we have it. As you can see, we have huge variety of dexters to choose from to meet your needs. Go to the contact page to get in contact with us so we can begin or continue your dexter experience. BW Dexter cattle are registered under the ADCA! Don't forget to LIKE us on facebook!!!!! dextercowcast - be sure to listen in on hot topics in the dexter world! Listen to "Episode 1 Introduction And Why Dexter Cattle" on Spreaker. Listen to "2: Dexter Cattle Structure, Issues And Concerns" on Spreaker. We have certain values we breed by, this can insure you are getting the best possible animal. We believe that if an animal is perfect in every way but has a poor temperament (wild, mean, crazy, etc), it has no place at BW Dexters. We strive to breed only animals are the calm in nature and be able to halter break with ease. Animals who like to push fences, run you over, cause trouble are soon dismissed from the breeding program. The Dexter breed itself has a few short falls when it comes to structure. We strive to correct these issues and pay extra attention to the legs, feets, and width. This allows the animal to live longer, provide better fertility, and grow better throughout the life of the animal. We do like polled Dexters but we prefer a structural sound animal. We all know Dexter beef is delicious! We need to make sure you have a lot of it! 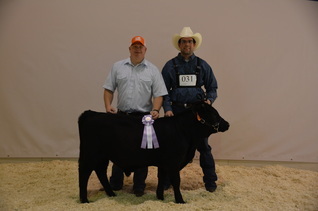 With our experience with larger cattle breeds we understand what to look for. We look at length, width, and rip depth to provide that meat that you want. We also look at the bone in the animal to see how much they can really pack on. We strive to correct some utter problems that exist. We look at proper teat placement on the utter and utter attachment on the fore and upper utter. This allows the cow to able to produce more milk for a longer period of time. We pay attention to the A2/A2 gene, however we feel there are other qualities that are important to the animal. We are currently trying to bring that gene in so all our cattle have it. We will provide the genetic test results for the gene on a per animal basis. ***Disclaimer*** We do not claim the A2/A2 gene heals, is more healthy, or provides any medical benefit.